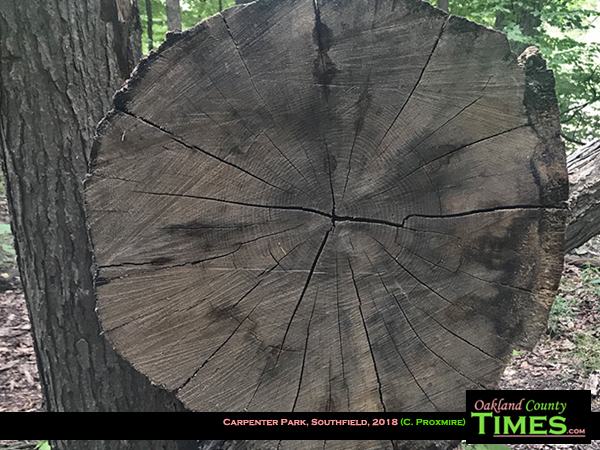 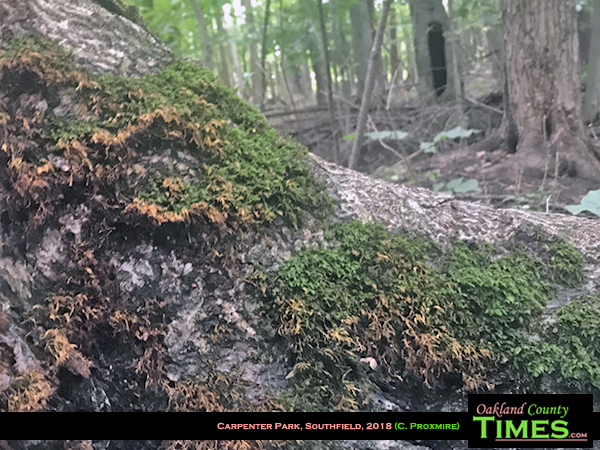 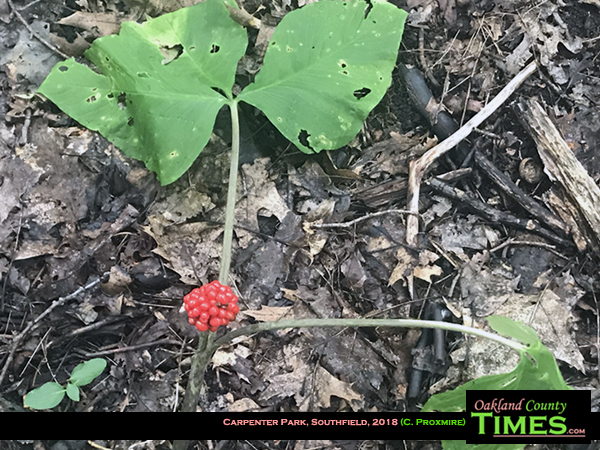 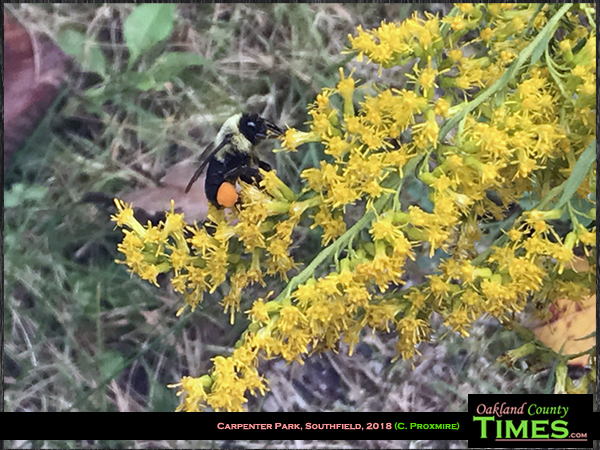 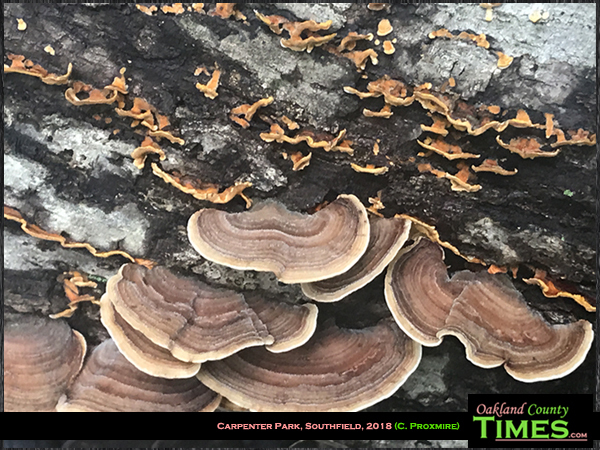 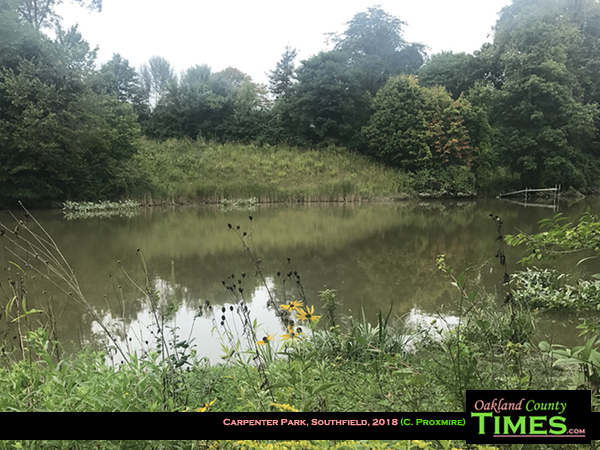 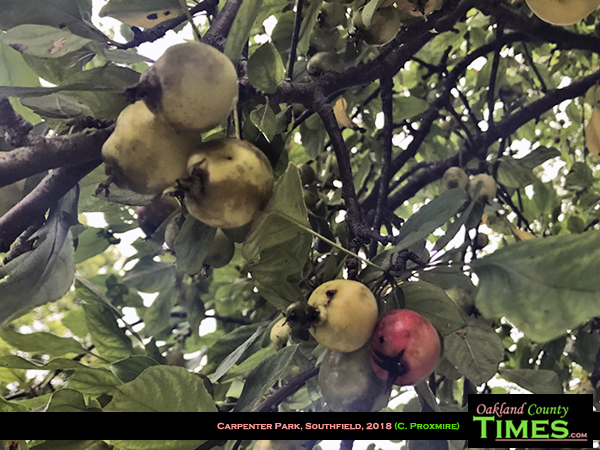 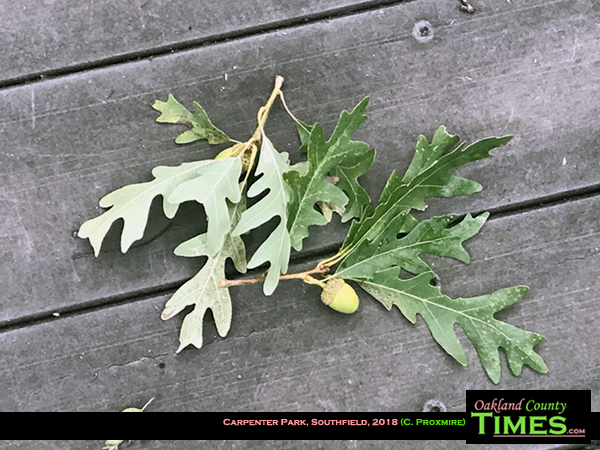 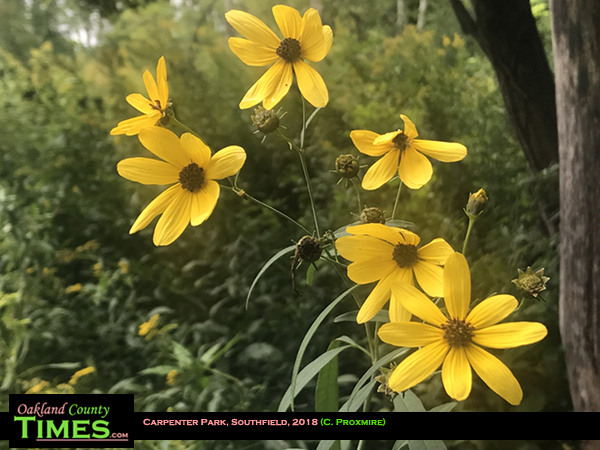 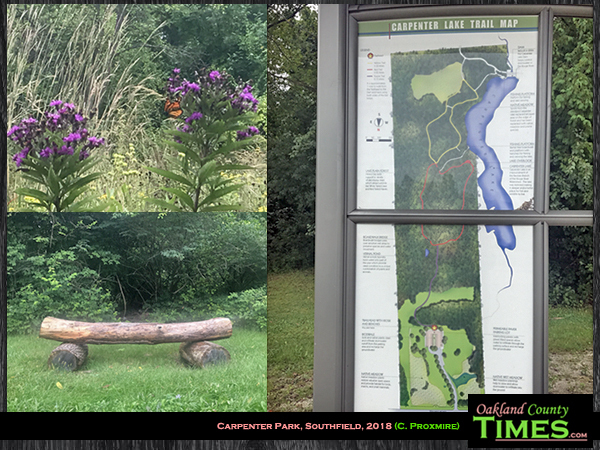 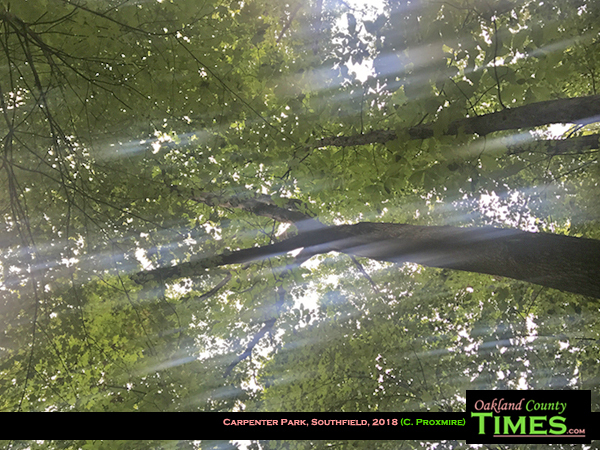 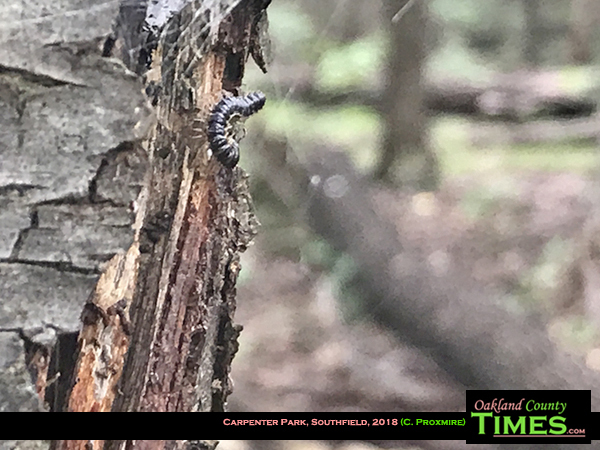 Southfield, MI- A one mile trail through deer-filled woods and wetlands is a great way to enjoy a morning, and Carpenter Lake Nature Preserve in Southfield offers up a delightful place for it. 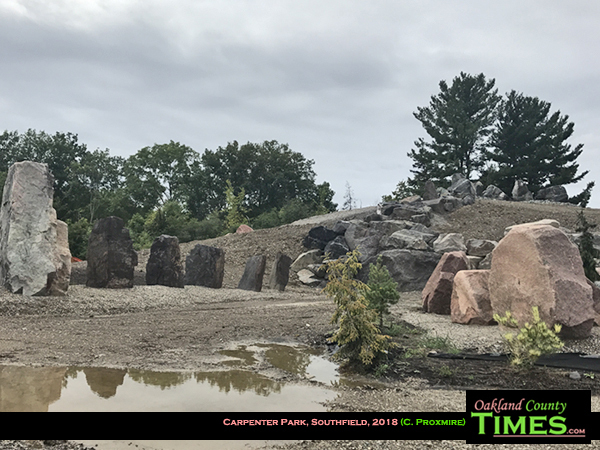 Visitors are first greeted by an area of large boulders placed in patterns atop a bed of gravel. 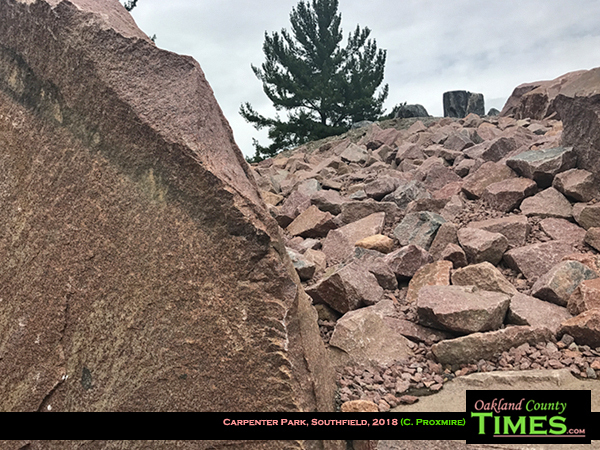 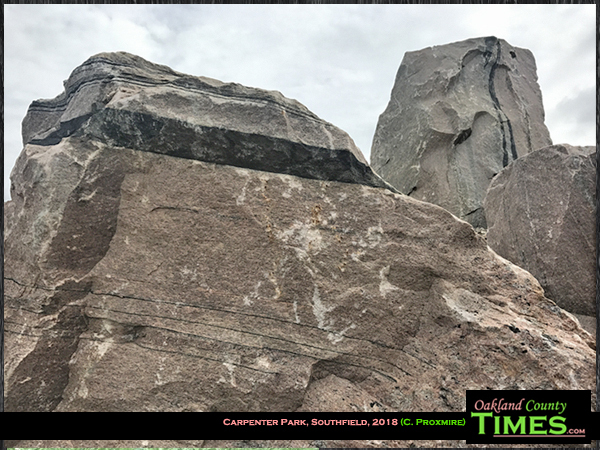 The rose-colored granite, deep grey baslat, and smokey limestone pieces are a natural art installation that is still a work in progress. 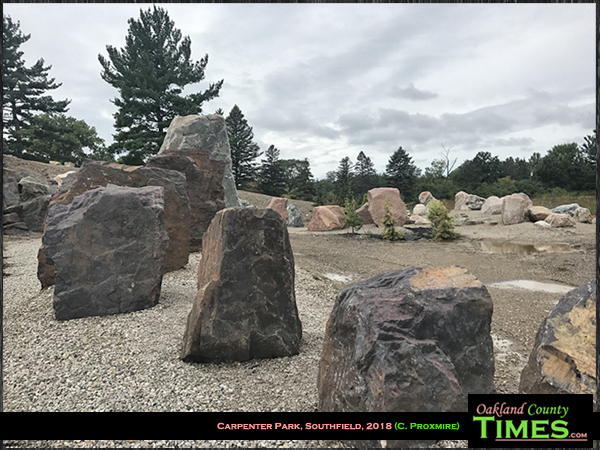 The pieces were donated by Attorney Marshall Lasser in 2017, who also designed the meditative area. 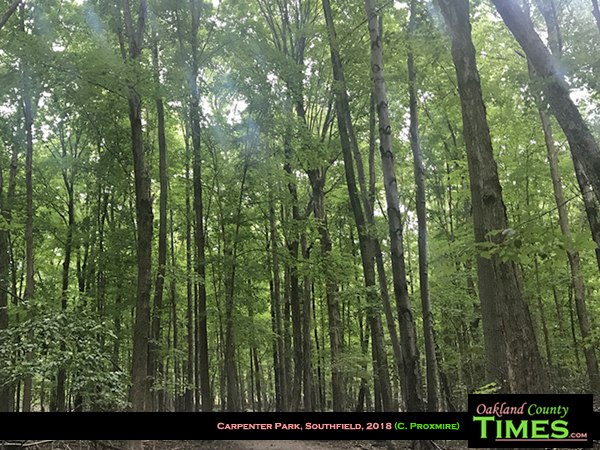 Along with the rocks are 24 golden confer trees that will grow to frame this unique space. 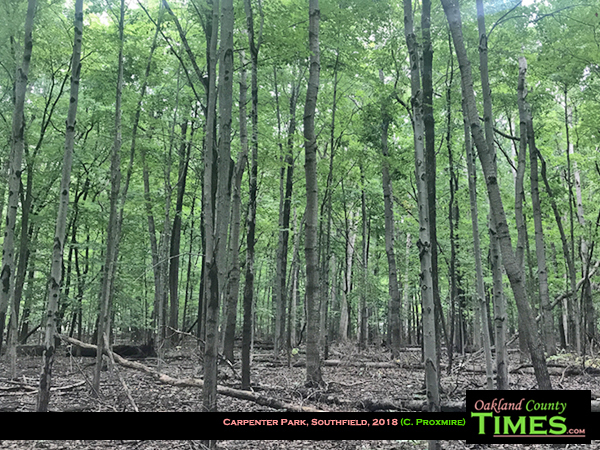 Beyond that are the woods, wetlands and meadows of the preserve. 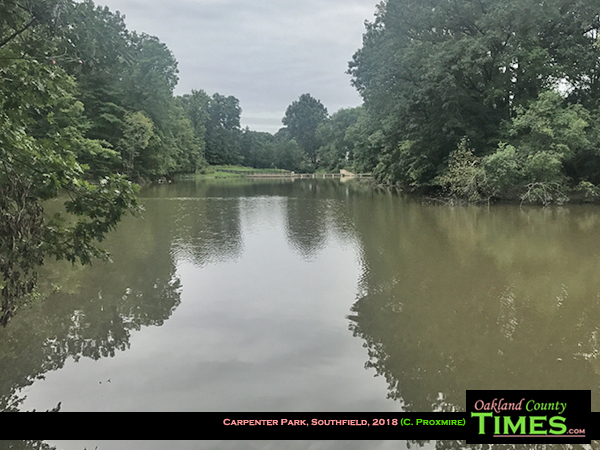 The area hugs Carpenter Lake, which was created in the 1940s by damming the Ravines Branch of the Rouge River. 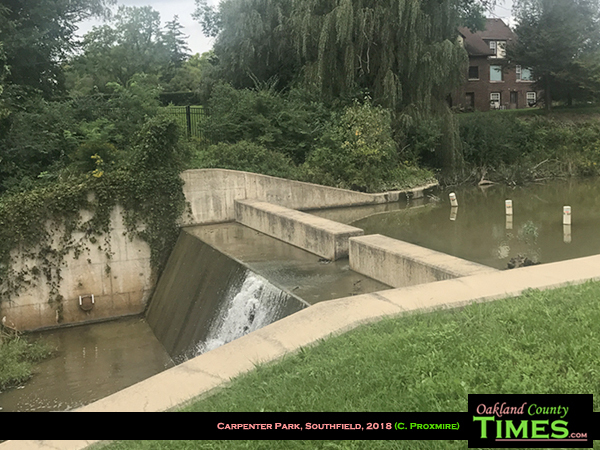 The dam, which is accessible by the trail, was replaced in 2006. 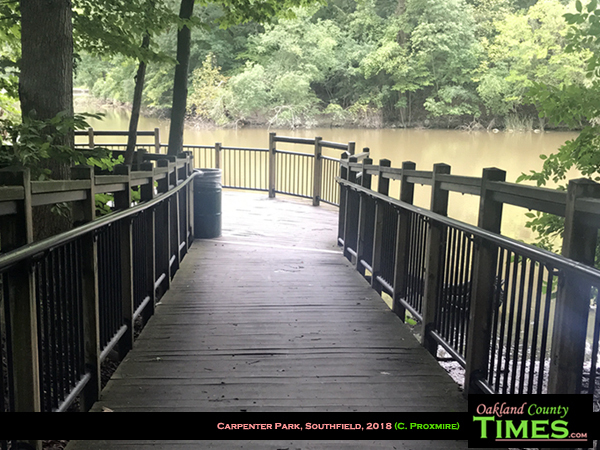 Along the lake the trail circles through the woods, with a few platforms to get better views. 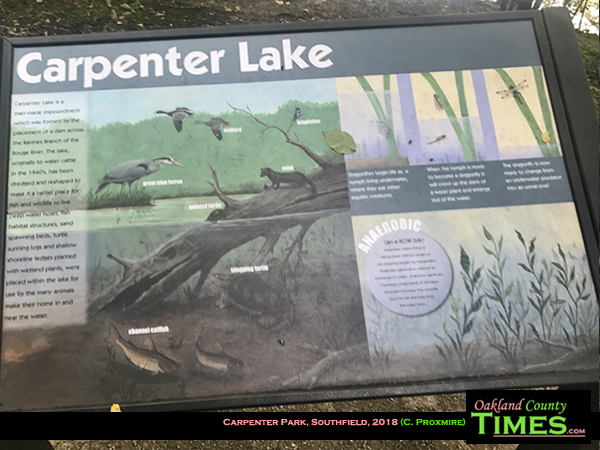 Carpenter Lake Nature Preserve is 42 acres with a one-mile walking loop. 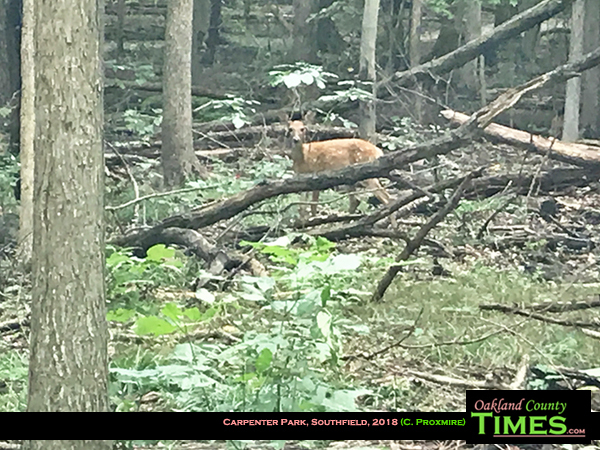 Dogs are welcome, and along the way it’s easy to spot deer who are not very afraid of human or canine visitors. 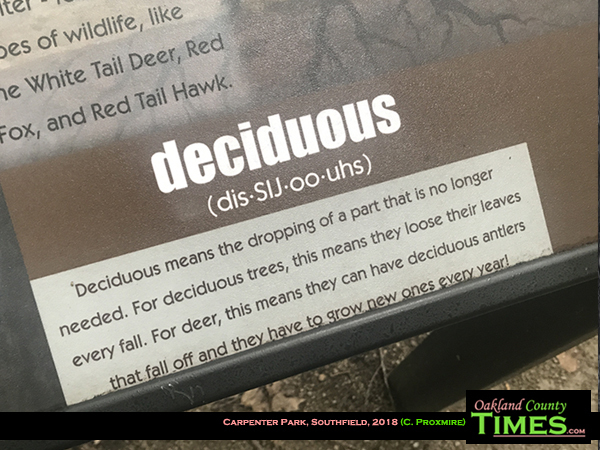 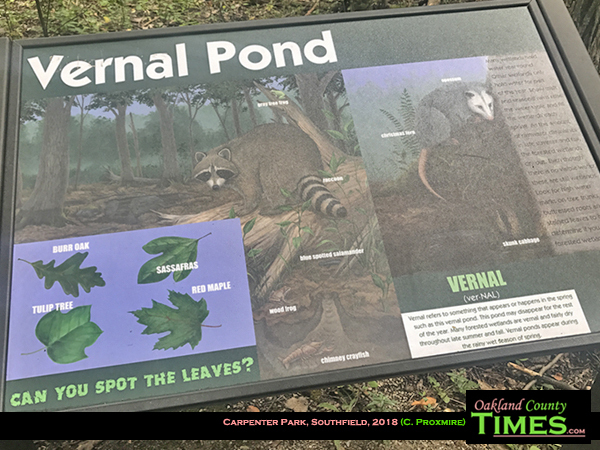 There are also signs along the way for those who want to learn more about the trees and animals that find refuge in this space. 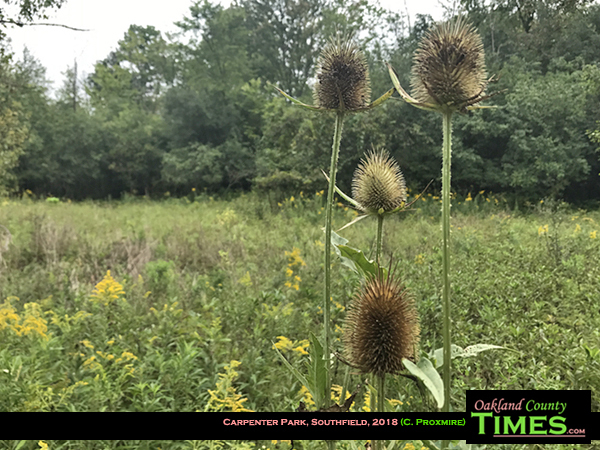 It is located on 10 Mile Road just east of Inkster Road. 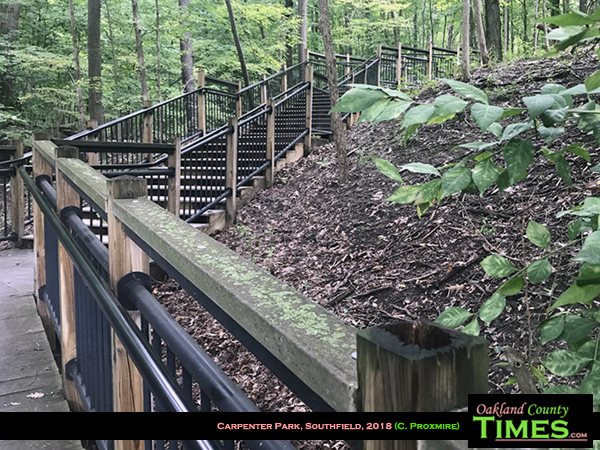 Learn more at City of Southfield website.